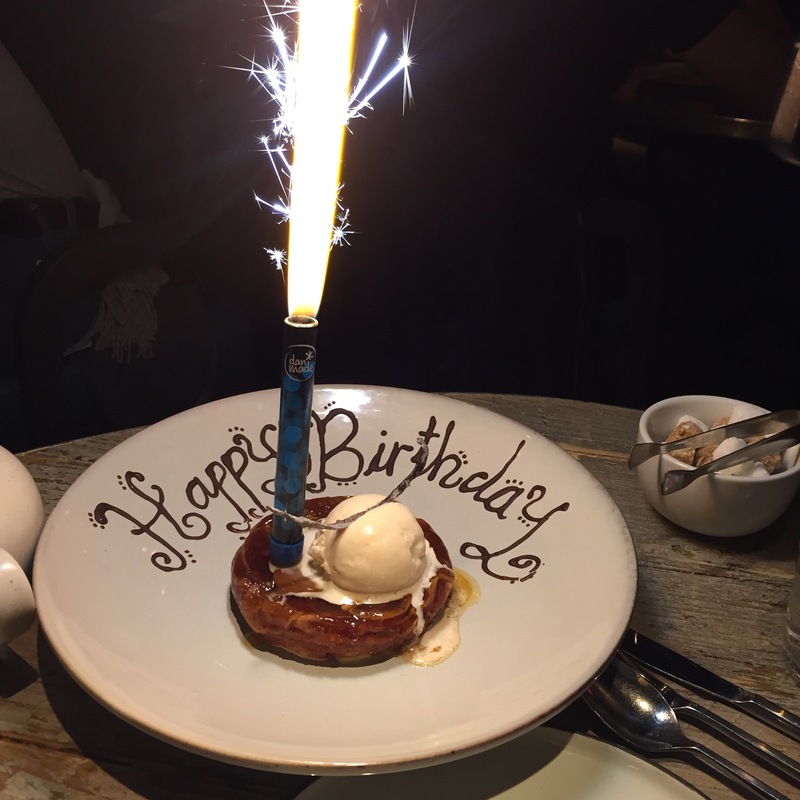 For the last 8 years, I have been lucky enough to have a surprise organised for my birthday, obviously the fact that I married the man that is behind the surprises means that they will hopefully continue forever more! This year for my birthday I was asked to meet Mr R at Oxford Circus station, we walked 5 minutes up the road to Mill Street and in true Mr R style, his look of confusion led to me pointing out the restaurant I thought he might be looking for. 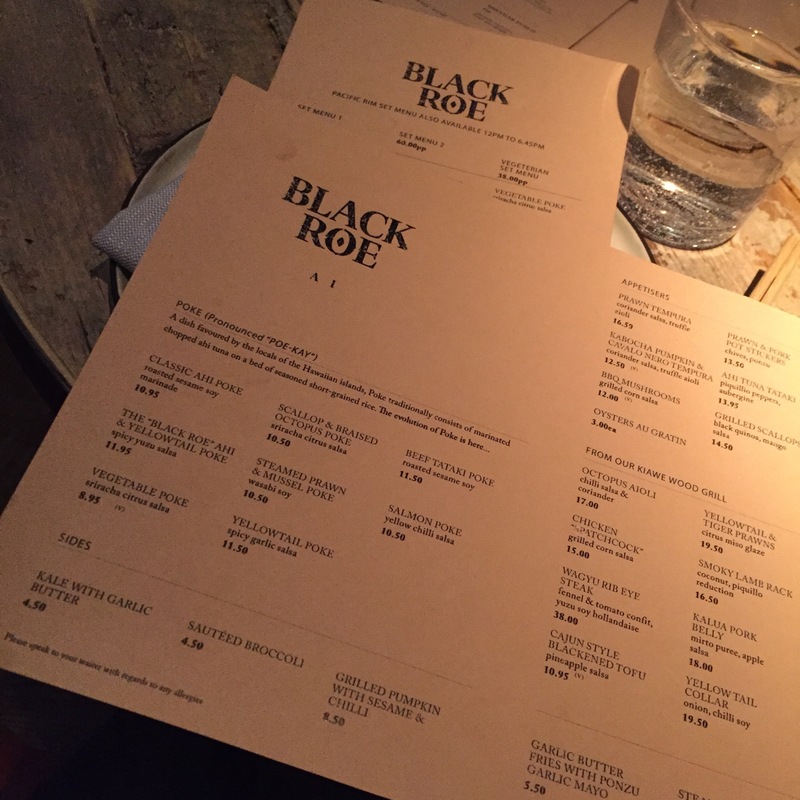 We entered Black Roe at 7pm when there were still a number of tables available. The dim lighting and trendy music with neon signs created a real buzz in the air. Each of the wooden tables was lit by a single spotlight which created just enough light to frame the food. We were shown to our mini booth, perfect for two (allowing us to sit next to each other and look out into the restaurant) and were handed the menus to browse through. Our friendly waitress took our drinks orders and gave us some suggestions about how many dishes to order. When asked what the best dishes on the menu were, she said “every dish is special, nothing is normal” and then proceeded to suggest a few of her favourites. Black Roe is a Poke bar and restaurant. Pronounced “Poe-Kay”, Poke is a dish favoured by the locals of the Hawaiian Islands and traditionally consists of marinated chopped ahi tuna on a bed of seasoned short-grained rice. We placed our orders and before long our dishes started to arrive. First up was the Poke bowls. What arrived were two perfectly constructed bowls consisting the lightly marinated fish, spring onion, grated veggies and a white vegetable I couldn’t place, served on a bed of rice. The real question was whether we were meant to mix the bowl or not. None the wiser, we decided not to but it turned out we were actually meant to mix based on the actions of our fellow diners. 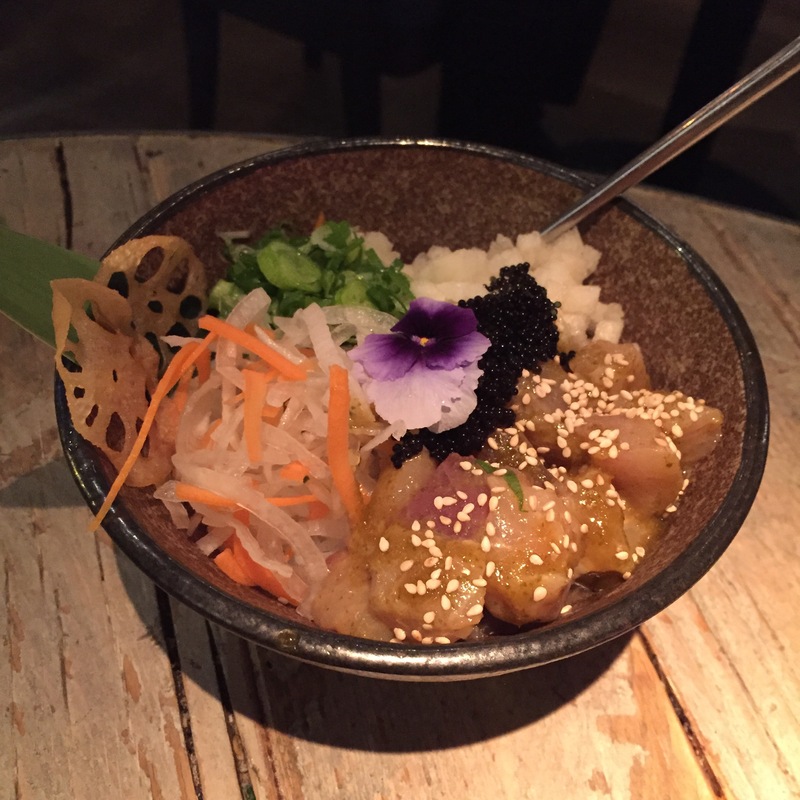 We had ordered the “Black Roe” Ahi & Yellowtail Poke with spicy yuzu salsa and the Salmon Poke with yellow chilli salsa. 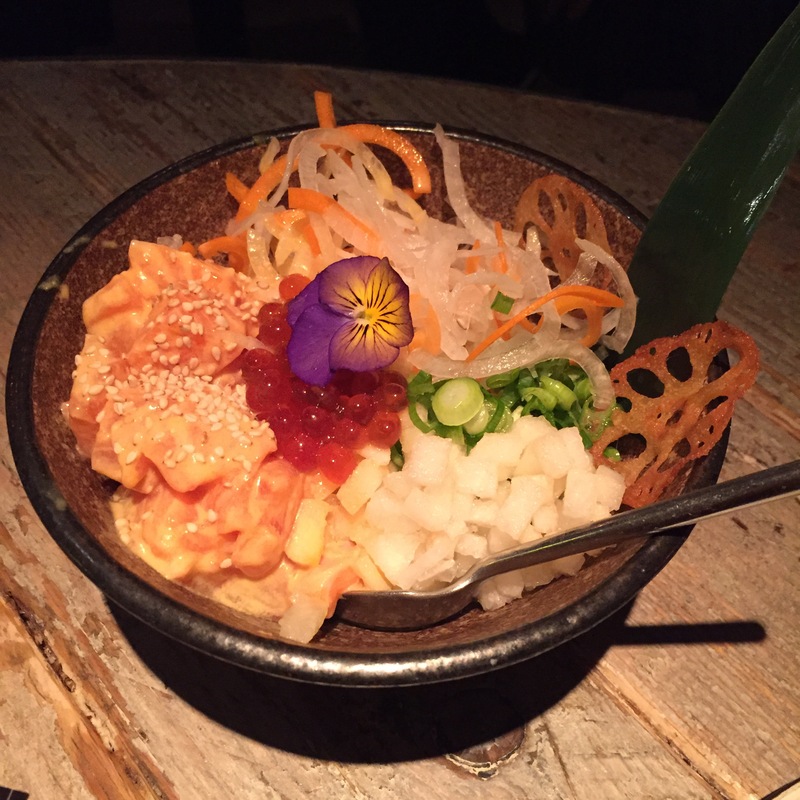 The salmon poke was extremely soft, lightly dressed and super fresh. The mix of textures from the salmon and crunchy vegetables to the tangy spring onion and the warm rice was amazing. The ahi tuna and yellowtail poke was equally good, although, for Mr R, the salmon stole the show! 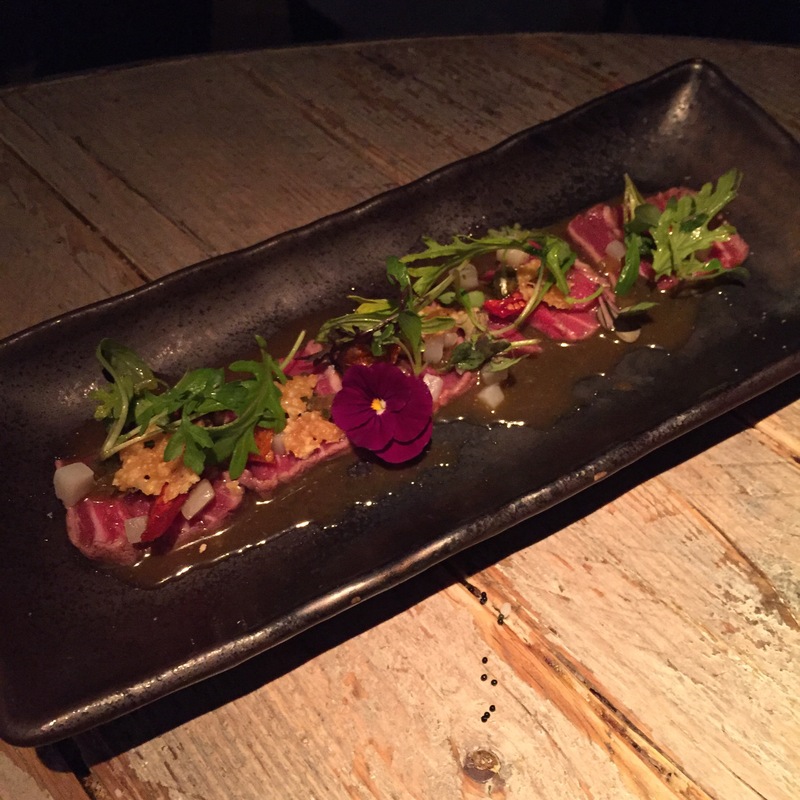 Next up arrived a very pretty plate of Beef fillet tataki, sun blush tomatoes, parmesan crisp, salsa picante. This again was extremely fresh, the dressing was perfectly tangy and the parmesan crisp added a perfect cheesy crunch. The explosion of flavours was by no means anything I would every think to put together, but they worked so well I could have easily gone in for round two! Being a big Oyster fan (and Mr R being less so), we only ordered one of the Oysters au gratin. I have to say, this was again delicious. The oysters had been lightly grilled so that the flesh had gone slightly sweet and coupled with the cheesy sauce, made for an amazing mouthful! After the delicious starters, we moved on to mains. First to arrive (strangely earlier than the actual mains) was our sautéed broccoli. This was basically steamed broccoli (albeit cooked to perfection) sautéed in a little butter. 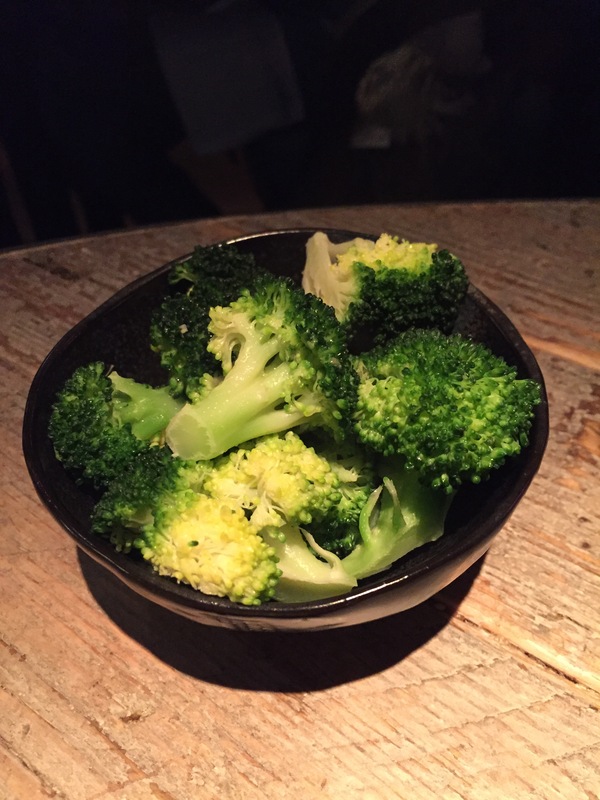 Not exciting in the least but I must say it was very good broccoli! Next up was the Smoky lamb rack, coconut, piquillo reduction. 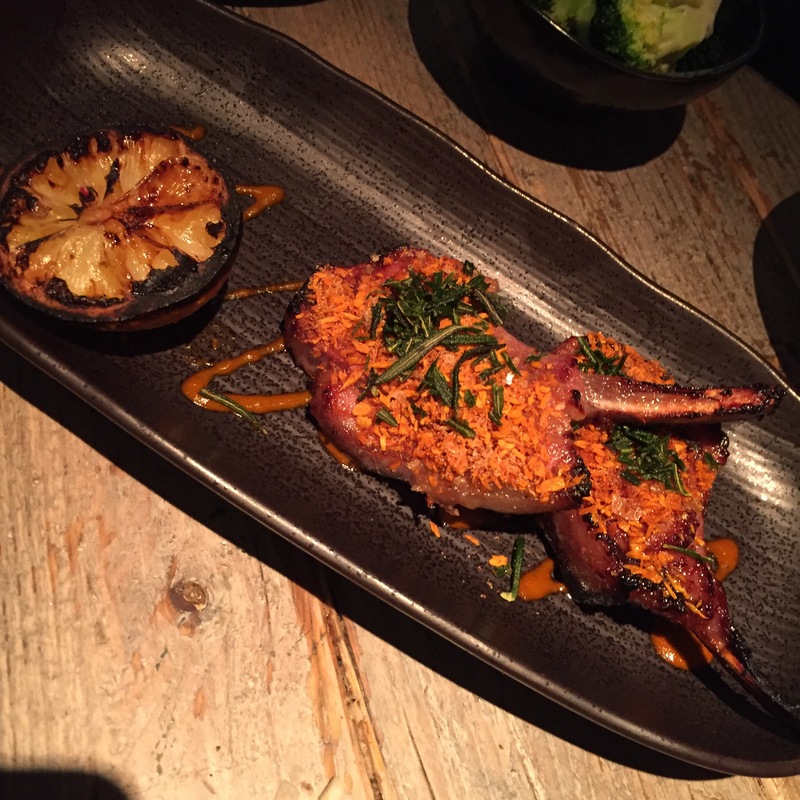 I can’t fault the flavours of this dish – the mix of coconut and sage, or how soft the actual lamb chops were. I must say though, when a menu says “lamb rack”, you expect more than just two pieces, so I was slightly disappointed with the portion size! I was less impressed with the yellowtail & tiger prawns, citrus salsa. Although the plate consisted of 3 pieces of each item, the yellowtail tasted very slightly overdone and rather than being super soft, was a little tough. The citrus salsa was a good addition and definitely added a level of intensity. When we saw the next dish on the menu, we couldn’t decide what would make them different to the bog standard. 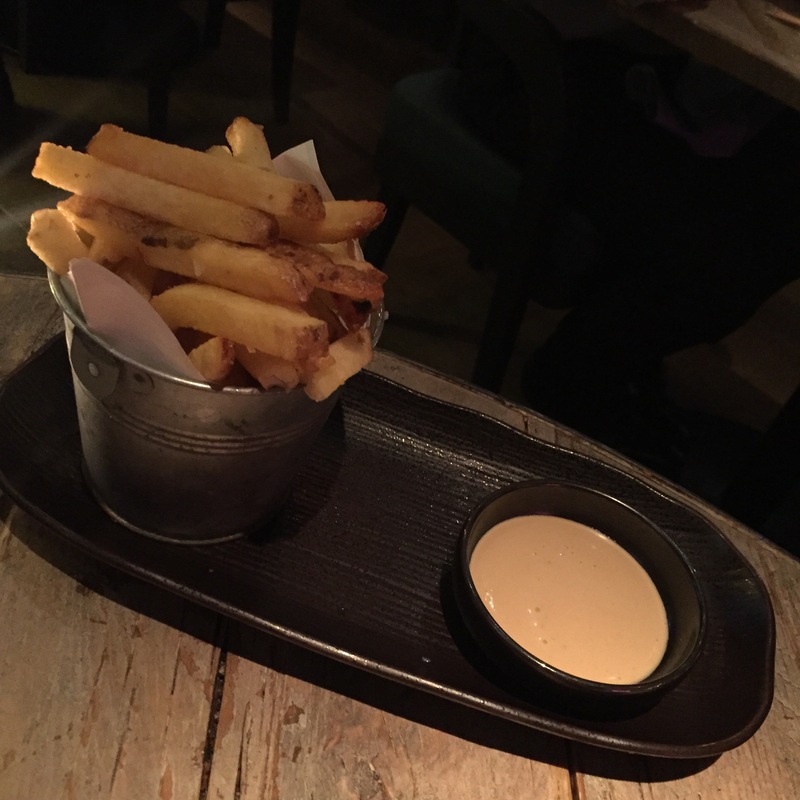 Our waitress was very flowery with her description, telling us how the fries are fried in garlic butter rather than oil and so the flavour would really penetrate the chips. Obviously, after such a description, we ordered the Garlic butter fries with ponzu garlic mayo. What arrived tasted a little more flavourful than a normal French fry but wasn’t terribly exciting other than been a good chip! Finally on to dessert. Having had a look at the menu, there was one particular item I couldn’t figure out, namely the “shake and bake”. With a little help from my friends at google, I realised this was a mammoth milkshake like dessert, that would, I’m sure, have tasted delicious. 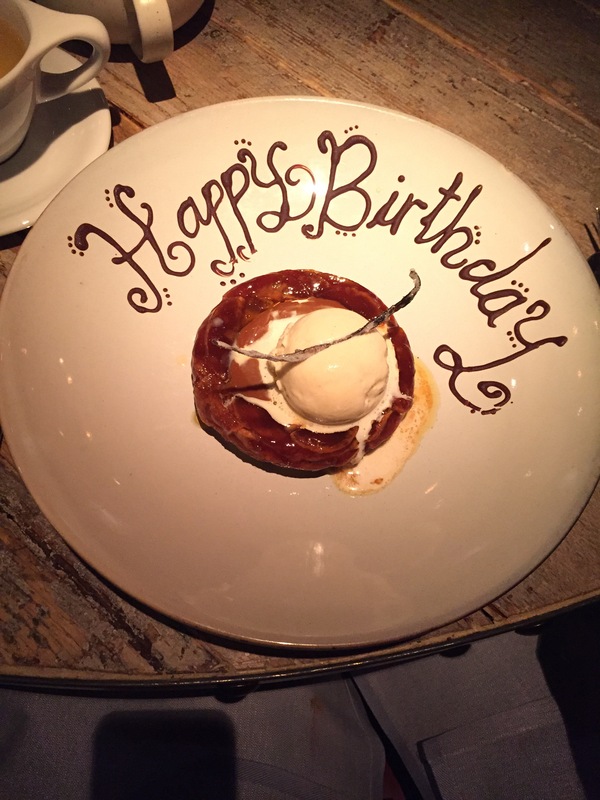 But on this occasion, we went for the Apple Tatin with milk ice cream. But upon tasting it, we realised it was terribly sweet and in fact, the caramelised apples just stuck to our teeth. Really sad given how amazing it looked! On the whole, I have to say I was actually very impressed with Black Roe. The food was really very fresh, the mix of flavours was unique but balanced and the choice was great. It has definitely set me up to take on more of the slowly arriving Poke craze & I will be suggesting to Mr R that he book us a holiday to Hawaii sometime soon! 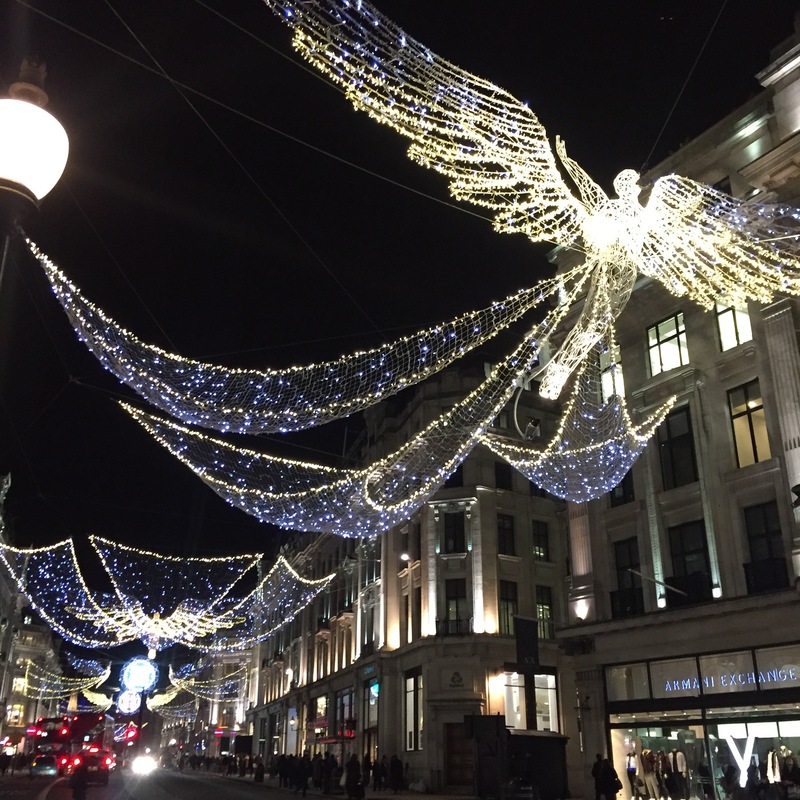 Now that my Birthday is over, were on a straight road to Christmas, so here’s a photo of the rather impressive Regents Street lights that went on on the same night! NB – A friend who had been to Black Roe on the same day for an extended lunch highly recommended the Blackened Seabass – definitely one to add to the hit list!